Can the fate of a forgotten starbase hold the key to the Moon’s survival? Long before the Anniversary Day bombings brought the Moon to its knees, a far-flung starbase became the testing ground for a diabolical plan: the annihilation of every human inhabitant by an army of clones. Every lead to the masterminds behind the bombings uncovered by criminal kingpin Luc Deshin dead ended in an Earth Alliance connection. Undercover operative Iniko Zagrando refused to play patsy for the Earth Alliance Military Division Intelligence Service, and now he’s fleeing for his life from his old bosses. And Frontier Marshall Judita Gomez puts her own life and the lives of her team on the line when her search for the origins of the Anniversary Day assassins leads to an Earth Alliance cloning factory. 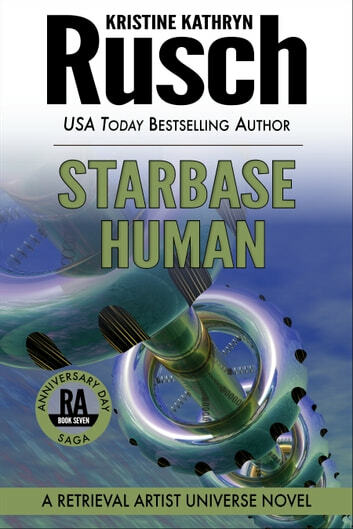 From the quiet courage of a Disappeared who struggles to decide whether to come out of hiding to the potent fury of a master criminal who puts a plan in motion to strike back at an overwhelming enemy, Starbase Human brings readers one step closer to the exciting conclusion of the Anniversary Day saga. The Science Fiction Crime Megapack®: 26 Criminally Futuristic Stories!